In the past, we have written much about the deadly admixture of heroin and fentanyl, a powerful analgesic 100 times more potent that morphine. Fentanyl, by itself, can be twice as strong as heroin on its own. Simply put, one not even needs to mix the two drugs together for fatal outcomes to occur. The opioid pain medication is just one facet of the ever-concerning American opioid addiction epidemic, synthetics. Historically, the major focus among lawmakers and health experts has been to curtail the over-prescribing of opioid painkillers and ensuring that overdoses on heroin and the like do not result in fatalities. But, in recent years, synthetic opioids, like fentanyl and the even more power carfentanil, has become a top priority, as they are both known to be responsible for thousands of premature deaths across the country. As prescription opioids became harder to acquire more and more opioid users were forced to look elsewhere to maintain their addiction. Leading them ineluctably towards heroin, a cheaper often stronger opioid than the heavily desired OxyContin (oxycodone). However, users had little way of knowing that every time they bought heroin there was an ever-increasing chance of being exposed to fentanyl. The drug is often mixed with heroin in an attempt to increase potency. If you are a regular reader of our posts, then you know that we have covered the topic of the opioid addiction epidemic at length. The result of opioid use disorder being the main addiction focus of our times, it is hard to avoid focusing on the topic, ad nauseam. The epidemic branched out from prescription opioids to heroin; and from heroin to synthetics like fentanyl, carfentanil and U-47700. However, fentanyl being mixed with heroin has led to a heightened death toll and the prevalence of synthetics has become much greater. In 2016, fentanyl took the prize for overdose deaths in the United States. 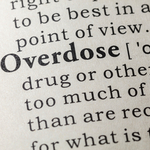 The Centers for Disease Control and Prevention (CDC) found that of the 64,000 (up from 52,404 in 2015) drug overdoses in the U.S. last year, 20,100 were linked to synthetic opioids like fentanyl. Yet, an analysis from The New York Times showed that 15,400 overdose deaths involved heroin during the same year, meaning that fentanyl is far more deadly than heroin.. As you can probably imagine, this is great cause for concern, as the prevalence of synthetic opioids does not seem to be waning. The analysis showed that fentanyl related overdose deaths has risen 540 percent in just three years. To make matters even worse, more people are expected to die of an overdose this year, than last. We cannot stress the importance of seeking treatment for opioid use disorder enough. Addiction to any substance can lead to a life of misery and premature death, but opioid use can steal one's life before it has even really begun. If you are abusing opioid narcotics, of any kind, please reach out for help immediately. The risks are far too great to continue the path you’re on. At Hope by The Sea, we can help you detox from opioids and show you how living a life in recovery is more than possible, it’s necessary.